"The Field Trip. Arna and Michael. Iceland. 2015." "Arnar and the Borrowed Sweater. Iceland. 2015." "Álfgerður Playing House. Iceland. 2010." "Fall Harvest. Self Portrait. Iceland. 2014." "The Arrival. Self Portrait with Arnar. Iceland. 2015." I immigrated to Iceland 12 years ago. I teach at a small countryside school comprised of 40 students. 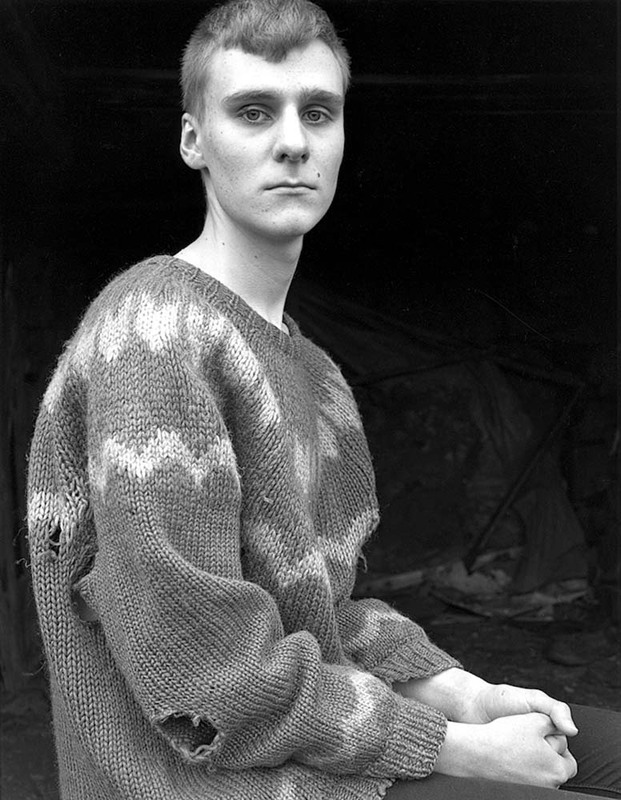 I photograph my new life in this remote and rural area of Iceland. 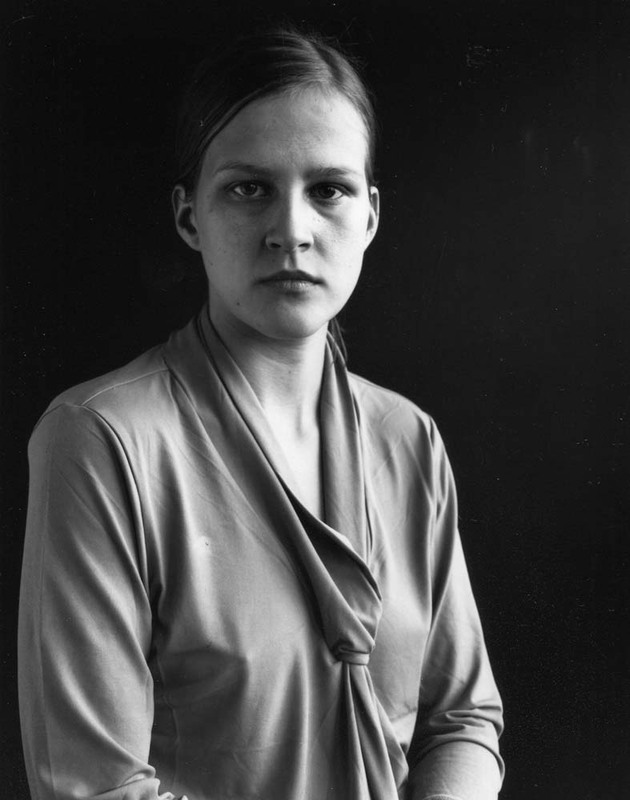 These photographs are comprised of self portraits and of my students. For the past 10 years I have been teaching English to Icelandic students. As a teacher from another country I have found tolerance, acceptance and caring from this small community of young people. Immigration has a way of arousing a search for belonging and an image or story can attach one to a place. The dawning of a new Earth Age, the Anthropocene, is the starting point for a new series that seeks to explore vast man-altered landscapes. I traveled to the Palouse grasslands - now wheat fields - of eastern Washington to immerse myself in a landscape terraformed and overlaid by commerce since before the dawn of the Anthropocene (1950 or so, TBD). I wish to bring attention to how global needs impact local landscapes. 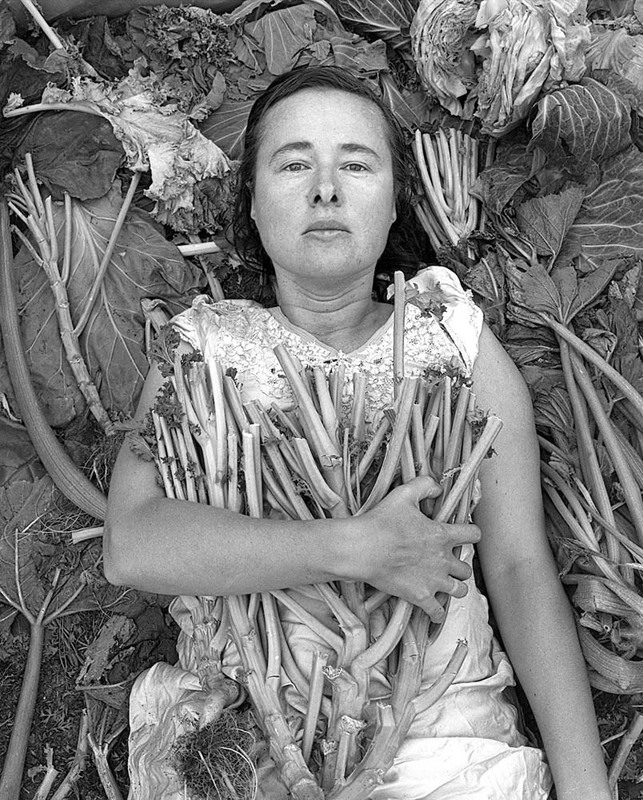 "Matrilinear" addresses embodied memory and its relationship to identity. 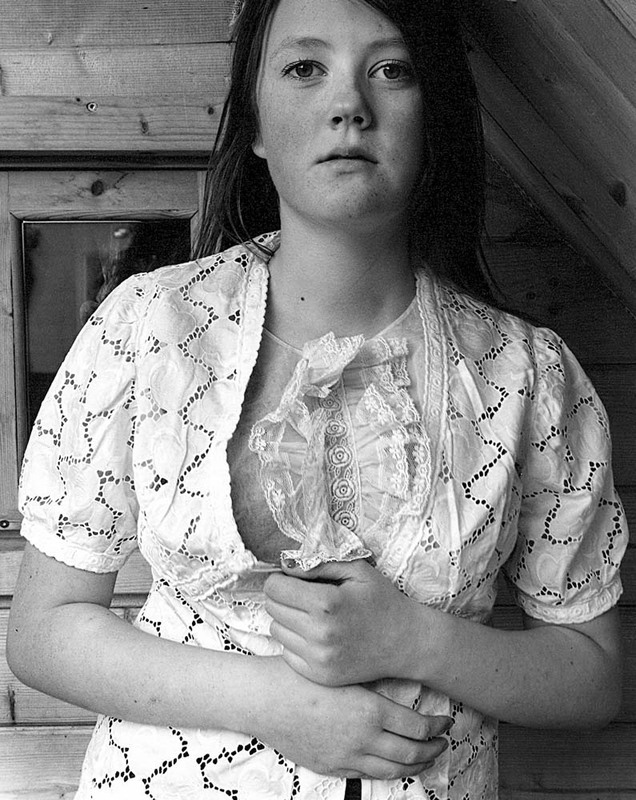 These images examine family folklore and mnemonic objects passed down through generations of women. The photographs of each object reveal the physical remnants of a body long gone; including stains, tears, and loose thread from clothing that was kept close to the body for comfort and protection. The stitching and/or photographic representations are both a visualization and an expansion of stories shared as family lore. These interruptions also represent the deep influence of one’s familial past on personal identity and perceptions of the body. 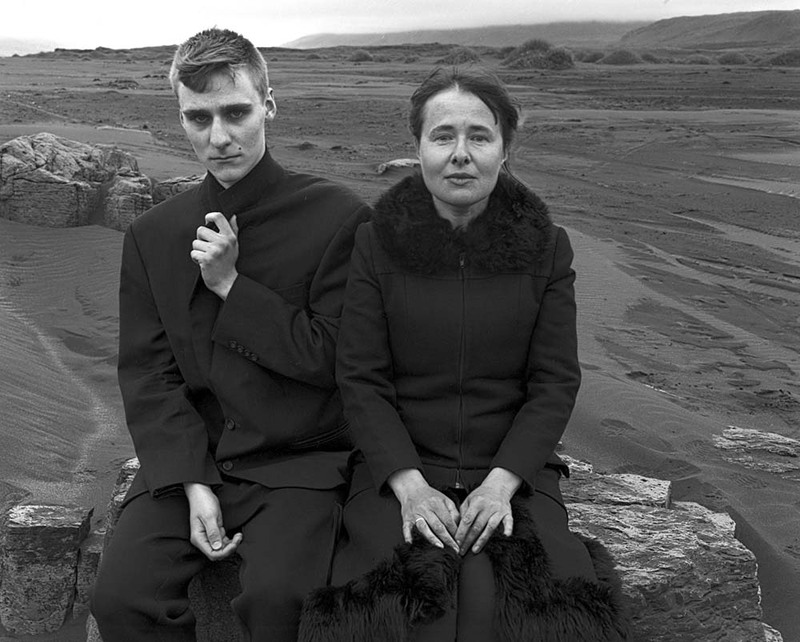 These exquisite portraits immediately seemed Icelandic to me—tenderly showing beautiful, stoic people coolly remote from each other set within haunting landscapes of moors and volcanic rock. It isn’t often that a set of photographs convey such a strong sense of place that also speaks to larger universal issues of love, longing, and loss. To quote Henry David Thoreau, “this World seems to be a canvas to our imagination.” I began to think about the differences between The Field Trip and the fabulous The Arrival: Self Portrait with Arnar, showing all the anxieties and longing of youth, in contrast to the stoicism and guardedness of middle age. The series of six images was really well curated, with the photographer building a “collection” of stories we can relate to in our own way. I imagine Alfgerour Playing House, with the sitter clutching her lacy white dress, as a companion work to Fall Harvest: Self-Portrait, where the artist is clutching cabbage stalks, as ways to reveal or hide the female body, both as a promise of pleasure and a return to nature. Similarly, many of the hands are fascinating; tucked under arms to protect emotional vulnerabilities, gripped in the lap to support an open gaze, and clutching the lapels of an oversized suit—less to ward off the cold it would seem, as to perhaps ward off a viewer’s deeper scrutiny. These photographs capture the traces of bodies in well-worn clothes, filled with memories and worn thin through time. The light-box effect of the clothes laid upon the inky black background sets up a yearning that both looks back in time and reminds me of the ghostlike beauty and endurance of the human spirit. I feel nostalgic looking at these baby dresses, bonnets, and embroidered tops for a time when my own children were small and motherhood was still a mystery.